I have been lucky enough to visit Berlin 3 times now, and it’s all thanks to CHAMÄLEON Theater and their fantastic new circus performances and wonderful hospitality. I was invited to see their latest show, Finale, last month and I was really excited to see what the new performance had to offer. 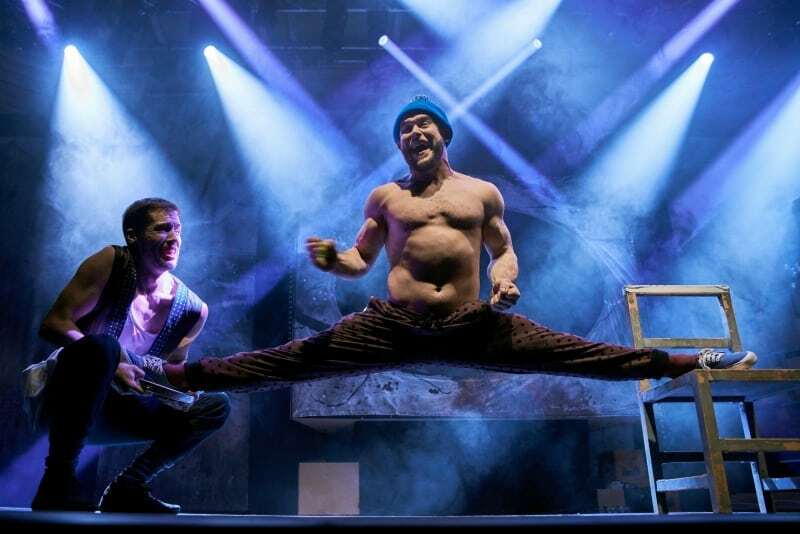 My first visit to Berlin was to see Scotch & Soda, a wonderfully crazy performance from the Australian group, Company 2. 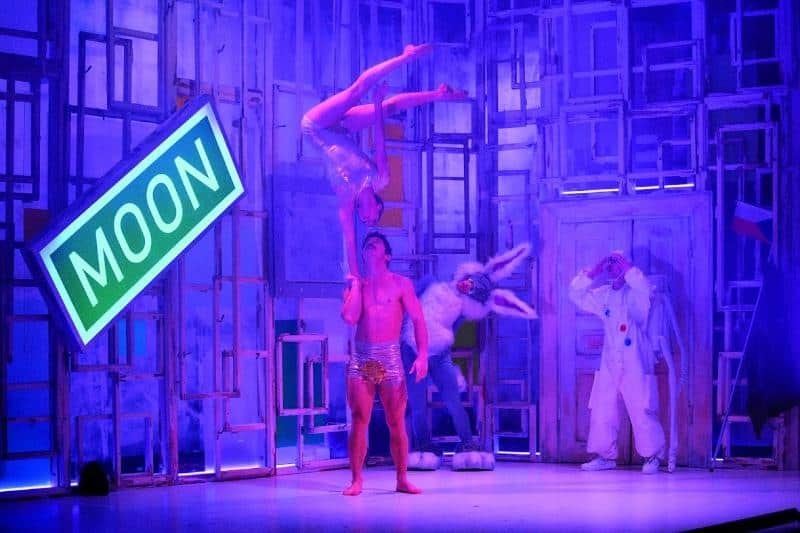 More recently, I saw a very different circus performance from the theatre called Parade. It literally couldn’t have been more different from my first experience at CHAMÄLEON with a beautiful and emotive story delivered by sensationally talented artists. I was excited about what was coming next from CHAMÄLEON, as they are a theatre who enjoy exciting new collaborations and I was anticipating another big performance from the new show. The most intriguing thing about going to a show at CHAMÄLEON is finding out how they are going to wow the audience this time, as I get the impression it’s a surprise every time. We took our seats on the front row, and what transpired next was some of the best circus entertainment I’ve ever seen. The show began with a ‘street’ performance in the middle of the audience. There is no better way to build tension than having 2 men trying to balance on a plank of wood in the middle of the crowd. We were certainly going to be in for a rollercoaster of a performance, I thought to myself. 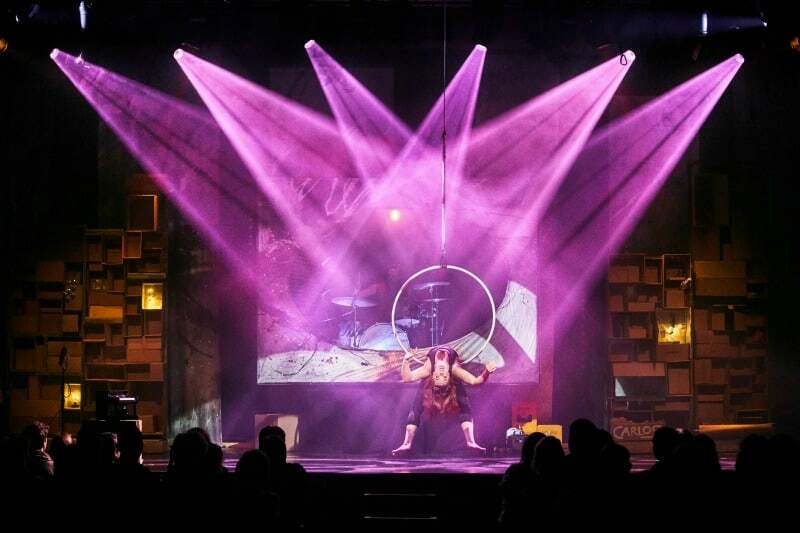 When the performers took to the stage, they took us on an incredible journey displaying their best circus skills amidst exceptional lighting and an amazing soundtrack with a stunning live vocal from Ena Wild. Finale is a lively and energetic show that took me right back to my clubbing days in London with it’s party atmosphere and dance vibes. It’s a fun show where you get to join a group of circus friends showing of the very best of their talents, and you have just been invited to the party. What an amazing night in #Berlin! #Finaletheshow is brilliant & I urge anyone making #travel plans to add it to their list! There were vocal performances from Ena that really reminded me of tracks from Pink Floyd’s Dark Side Of The Moon and I could tell she had earned her place singing with her band in some of Berlin’s trendiest nightclubs. 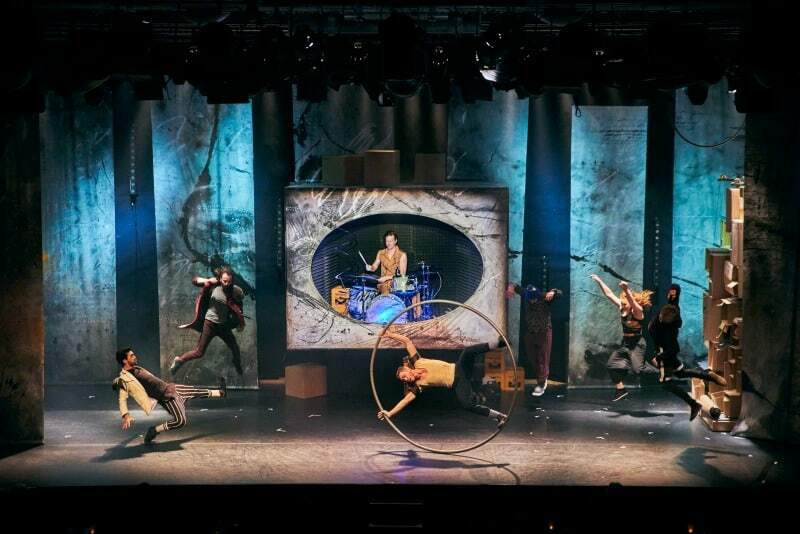 If raves have ever featured in your past or even present, then I think you will enjoy Finale at CHAMÄLEON theatre in Berlin, even if you are completely new to the idea of modern circus. Finale is a production by Analog, and we got the chance to speak to some of the performers after the show. Each artist involved in the show gets to bring their own particular talent and skill to the performance. Manda Ryman, for example, had us all on the edge of our seats demostrating her grace and precision on the vertical rope. Richie Maguire was bringing all the humour while eating a banana, doing the splits 20 foot in the air wearing a gold thong. Yes, really! There’s also exceptional juggling from Bertan Canbeldek and Ole Lehmkuhl makes the Cyr Wheel look effortless. I’m just finishing up a new #blogpost about seeing #FinaletheShow at @CHAMTheater! Finale at CHAMÄLEON theatre is a fun, exciting and thrilling performance and is well worth adding to your list of things to do if you are planning a Berlin city break. Finale is showing at the theatre until 19th August 2018. Tickets start at 39 Euros and the performance lasts for 2 hours including intermission. Drinks are served to your table and there is a menu available so you can enjoy food either before the show or during the interval. 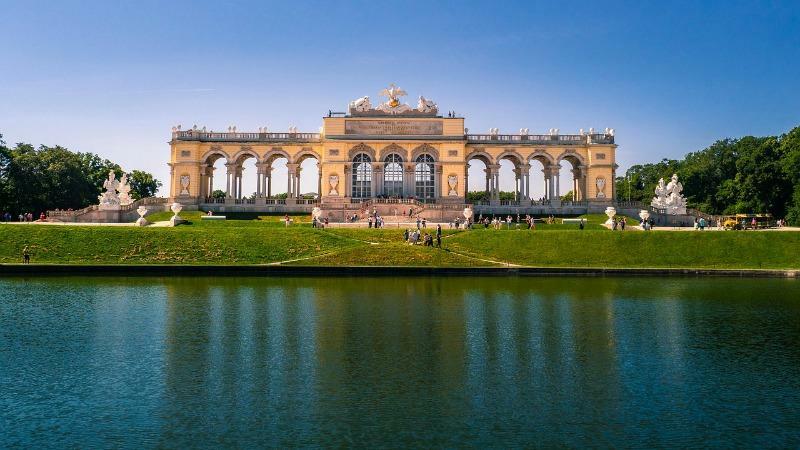 I was invited on a press trip to Berlin to explore the city and see Finale at CHAMÄLEON in exchange for this post, but all thoughts are my own. Wow, the show really does sound spectacular and for 39 euros, not a bad price at all. Even better that you can have drinks brought to your table because I hate it when you are trying to enjoy something but your glass is empty! wow that seems to be like a great show with so much to see! That sounds like an amazing night. I’d love to see it as it sounds very different to all the theatre shows I’ve seen before! This sounds like such a great night, I’ve always wanted to go to Berlin so it would be amazing to see this at the same time. A circus performance would be so different to experience. I love going to the Circus, but this is definitely a performance like no other I’ve seen before. How fantastic! I would love to go and see this live. Wow this looks truly spectacular I have to say I love a circus and this one looks particularly show stopping! We have not been to a circus in a while. We live not far from Blackpool and have enjoyed the circus under Blackpool tower. This one looks really impressive and a family friendly environment.